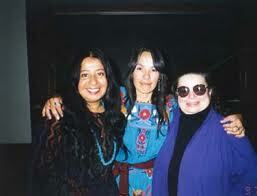 three “comadres” at the Floricanto 1997 at the University of Colorado, Boulder (Photo, courtesy of Cal Poly). Bernice Zamora’s “So Not To Be Mottled” is a Rebellious Lawyering Conference Reader Perennial. When you say I’m schizophrenic.